John Burbidge King is the founder and CEO of Interchange Solutions and a member of the standing committee for the BS10500 anti-bribery management system. Here, John lifts the veil on the UK Bribery Act 2010 and offers some hints for exporters. These days, thanks to global communication, big data, whistle-blowing and self-reporting (even by competitors), it is not if an allegation of a bribe will be unearthed but increasingly when and by whom. Globally, we are more aware than ever that bribery is a big problem. The cost of corrupt regimes and unethical businesses has societally and economically become unsustainable (Ukraine, China, global banks) whilst improvements to mitigate and prosecute acts of bribery have been made in the Gulf and other countries. 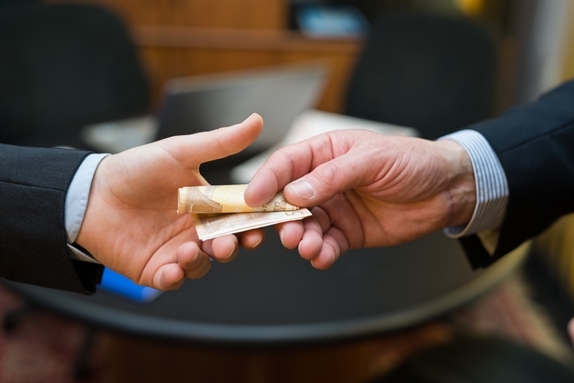 But while bribery is not likely to disappear any time soon, nor will countries renege on their recent commitments to eliminate bribery, and the perception of the UK being a place where bribery isn’t something to worry about is dwindling. Therefore, the UK Bribery Act was introduced in 2010 to strengthen the existing corruption and bribery laws in the UK, in much the same way as the USA introduced the Foreign Corrupt Practices Act (FCPA) in the 70s. s.7 – failure of a commercial organisations to prevent bribery; the key legal defence is to show that “adequate procedures” to prevent had been implemented. The Act has extra territorial reach extending to those “persons” who have a close connection with the UK. In the case of s.7 (corporate), an offence is committed irrespective of whether the crime took place in the UK or elsewhere. The concept of an “associated person” is introduced (in the context of s.7) which means a company can be held liable for those persons who perform services on its behalf. This might include an employee, a consultant, agent or any other form of business partner – even a supplier or sub-contractor. “But bribery is the local culture – it’s the only way to do business there!” is an oft heard cry from an exporter. The Guidance to the Act makes it clear that while bona fide and reasonable customer hospitality is not considered illegal, it does preclude any defence/excuse of “local custom and practice” to bribe unless such a practice is written into the appropriate local law which, to date, is an unlikely scenario. Finally, senior officers (including directors) of a company may be prosecuted under the Act. The Sentencing Guidelines on conviction under the Bribery Act were published in October 2014. What does the Bribery Act mean for me as a UK exporter? As a result of the general tightening up on bribery across the globe, UK companies and particularly exporters are advised to take heed of these risks in their business planning. But it is not all bad news, because there is plenty of support to help you mitigate these risks. The UK Ministry of Justice has published Guidance to the Act, advice on the adequate procedures a company might implement to prevent bribery, better manage risk and leverage commercial opportunities (s.7). It is not just about having a dormant set of compliance policies but actively incorporating anti-bribery mitigation into your business strategy, processes and culture. An obvious example might be IKEA. 80 per cent of bribes are paid through third parties, especially agents or similar. They are ordinarily needed in local markets, especially where smaller companies do not have a presence. Often these key relationships are founded on subjective measures such as personal chemistry with a sales person, introduction or by happenstance. This article on managing your agent or distributor provides further guidance to ensuring they are acting in your best interests. But I have a binding “no bribe” agreement in my agent’s legal contract – that means I’m covered, right? Not necessarily so! They are acting on your behalf and are therefore “associated persons”. A key point for UK exporters is that a robust business process for identifying, appointing and managing business partners should be in place to really know with whom you are doing business. This applies to suppliers too. In a world of increasingly sophisticated organised crime (cybercrime, fraud and data theft) and terrorism, a robust process including an appropriate level of due diligence is vital and a key element of those principle-based adequate procedures. For your commission based partners, be firm on the level of commissions and not fall into the trap where in some countries the commission demanded is higher than for other countries. A higher percentage is often directly related to the propensity for bribery in that country. (Remember, “it’s the business culture” is not a satisfactory defence!). In setting percentage based remuneration, consider the amount that could be left on the table to pay bribes, rather than the actual percentage itself. A key principle in the Guidance is Risk Assessment. This is no different to assessing financial, health and safety or any other operational risk. A bribery risk assessment is likely to resolve other business issues too – from supply to sales sides, from authorisations to oversight and other operational areas. As a more rigorous understanding of markets, channels and resources is unveiled, opportunities that might have been previously discarded will come to light – while staying on the right side of the law, whether that be the UK or another jurisdiction. Finally many companies, big and small are working towards implementing the BS10500-2011 Anti-Bribery Management System – to pull it all together in a coherent, familiar and certifiable way. Depending on the key markets for your business, this could be a valuable investment indeed.